A few weeks ago, we installed three floating wall shelves (which are actually repurposed picture ledges) in a corner of the nursery. The shelves look great and transform a once awkward wall into a cute reading nook. The only thing missing from the corner was a place to sit. See what I mean about the fabric?! 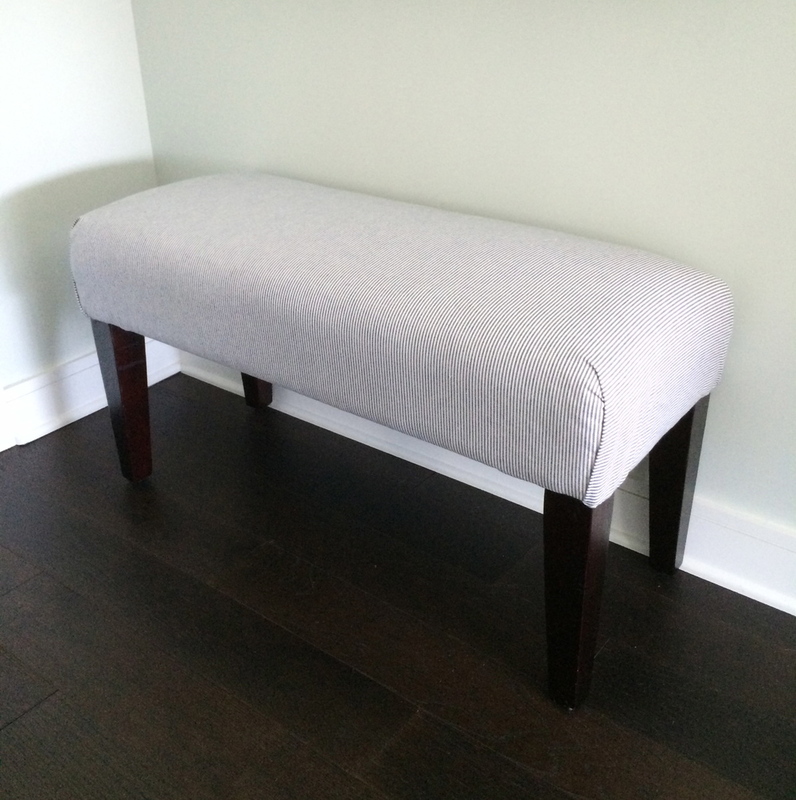 I measured the length and width of the bench and realized that I was lucky enough to only need 1 yard of fabric. That one yard would cover the top of the bench and still provide enough extra inches to wrap around the sides and bottom of the seat. I placed the fabric pattern-side down on the floor and put the bench upside down on top of the fabric, shifting it around until it looked centered. Since I chose a striped pattern, the most important thing was to ensure that the stripes would be straight on the bench. I just eyeballed it and hoped for the best. After all corners were folded and stapled, I wrapped the remaining fabric around the legs and secured it under the bench with more staples. At the very end, I used the scissors to carefully trim extra fabric from the sides and bottom of the bench, being careful not to cut off too much from the bottom. It's hard to believe that this is the same piece of furniture and that the makeover only cost about $20 and took just one day to complete. 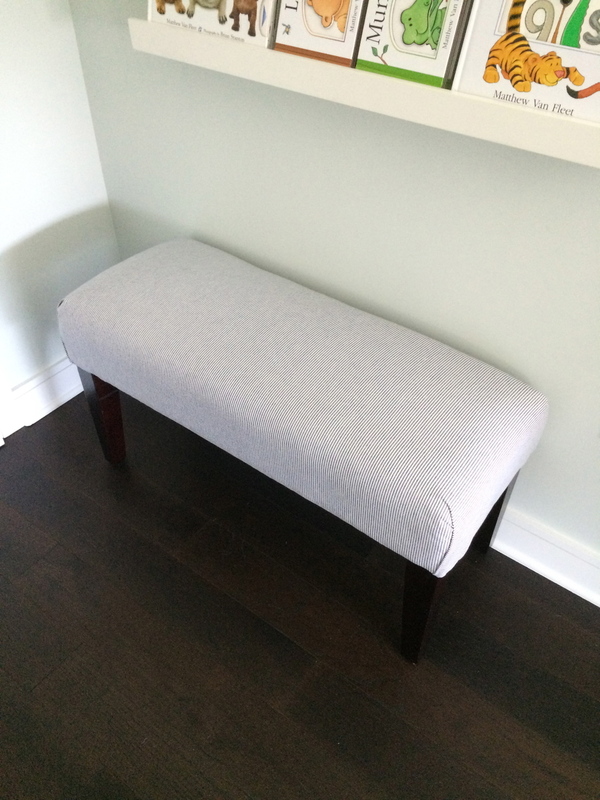 Below are a few photos of the newly upholstered bench in the nursery, which I couldn't be happier with!